SpaceX tycoon Elon Musk has unveiled a vision for a colony on Mars and rockets which can transport passengers here on Earth. Speaking at the International Astronautical Congress in Adelaide, Australia on Friday, September 29, Musk said the rocket he was developing to take people to Mars could easily be used to transport people around the globe. Videos Musk posted on Instagram suggest flights from London to Dubai in 29 minutes, New York to Paris in 30 minutes and Tokyo to New York in 37 minutes. "If we're building this thing to go to the Moon and Mars then why not go to other places on earth as well," said Musk, who said it would be possible to get anywhere on the globe in under an hour. The videos suggest 1960s-style vertical take-off rockets which would travel at 17,000 miles an hour and would land vertically, onto a pad. Musk said SpaceX planed to "cannibalize" all of its other products and focus on what he called the BFR (Big F***ing Rocket). "It's really crazy that we build these sophisticated rockets and then crash them every time we fly. This is mad," said Musk, who has become frustrated with problems with projects like the Falcon Heavy rocket. Musk has said he plans to transport 100 people a year for 100 years until a million people lived on Mars. But Robert Zubrin, president and founder of Mars Society, a non-profit organization that wants to see humans settle on Mars, said Musk's proposals were "like a D-Day landing" and he would prefer to send just 10 people to see if they could develop agriculture on the Red Planet. In 2016, Musk claimed he would send the first crews to the Red Planet in 2024 but now he has said two rockets would start delivering cargo to Mars in 2022. The heaviest object ever landed on Mars weighed just 2,000 pounds, while the ITS would be up to 50 tons. Loren Grush, from The Verge website, pointed out Musk has a reputation for making overly-optimistic claims. 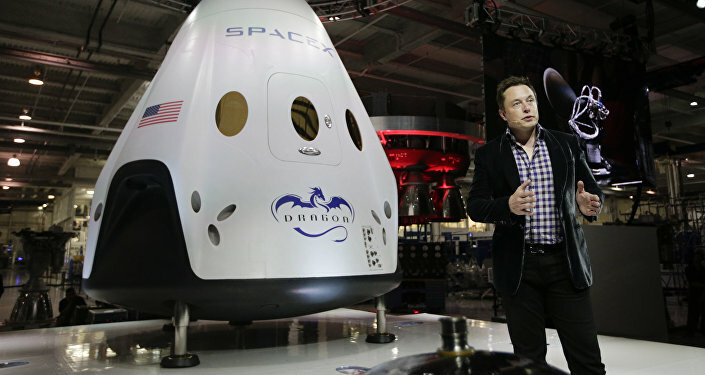 Musk promised to launch the Falcon Heavy rocket in 2013, but it still has not taken off. SpaceX originally claimed it would be sending astronauts to the International Space Station this year but that has slipped to 2018 or 2019. Musk released no details about how much the city-to-city rocket flights would cost or how many passengers they would carry, but it would almost certainly be an extremely expensive service, at least initially, for a handful of millionaires and businessmen. In 2016 Musk said the price for each of his space tourists on the SpaceX Interplanetary Transport System would be around US$200,000.